UK: Prime Minister David Cameron has steered clear of the row over the 970MW Navitus Bay project on a trip to the south coast. 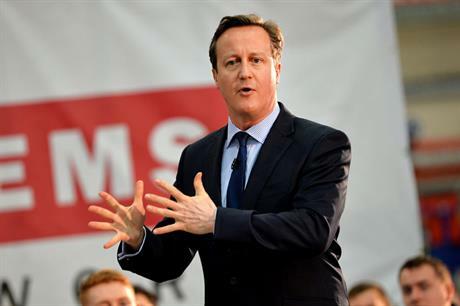 Cameron is touring the country, campaigning for the general election on 7 May. He stopped in Lytchett Matravers, in Dorset, near the coast off of which the Navitus Bay project is planned. Speaking to local press, Cameron remained on the fence over the controversial project, which has attracted a lot of public interest. He told the Bournemouth Echo: "This matter is before the Planning Inspectorate so I have to be careful what I say, but I know all the local MPs and councils have made their feelings known about it. "I understand why they feel so strongly. This is a particularly beautiful part of the country. It is special and it is part of our heritage." Several local councils have come out against the project, which would be located 14 kilometres off the Dorset coast. The Planning Inspectorate, which is currently reviewing the project, received a record amount of responses from interested parties in July 2014. Navitus Bay is being developed by a joint venture between Eneco and EDF. It has already twice been reduced in size and the developers also submitted a 630MW "Turbine Area Mitigation Option" currently being considered alongside the full project.